Our month of horror comics begin with the icon which is Dracula so it's only fitting it should end with it. This time however he is being chased by a man known as Blade. 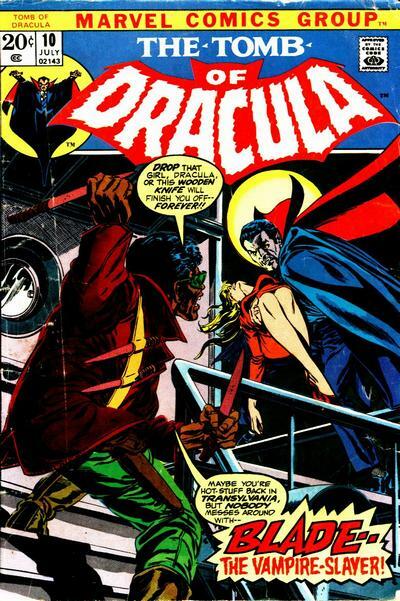 This is the first appearance of Blade the Vampire Hunter, or in this case Vampire Slayer, in the Marvel Universe who of course would go on to star in films, television, and his own comics with Dracula being one of his number one enemies for years to come.